The delays involved with Customs problems, such as unnecessary Customs exams, can be time consuming, costly, and frustrating. Believe it or not, you have the “power” to keep your imports moving smoothly through that bothersome Customs portal. 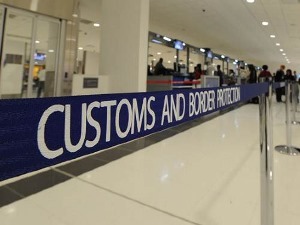 The best way to avoid a holdup at the border is to provide Customs with a clear, well-defined description of the articles that are cited in the import documents. Easier said than done, of course, particularly when your imports are parts or components of an assembly that will be completed in the U.S.
How will your article be used? What is its function or part in assembly? In what industry will the final assembly be used? It is helpful to provide JPEGS of the articles as well. Researching descriptions, definitions, and images on the internet is a great way to get started. The import manager essentially “goes to school” to learn about the items being imported and their journey to becoming an end product. All of this upfront research requires all parties involved to use clear, accurate, and appropriate words to describe and define the imported articles. Sloppy or incomplete descriptions in the documents should be avoided. “Haste makes waste,” so to speak, and cutting corners upfront may result in lengthy, costly, and ultimately unnecessary Customs exams. “Get it right the first time,” as we say at Walker International, Inc. The extra effort you let us put in now will save you time, money, and headaches later. Contact Walker today to get started on those article descriptions.